Cash Alpha here, to use and take what I want, you need to pay your Fag Tax and tribute to me, I use what deserves it, how bad do you want me to take control of you? I have Pieces of True Alpha Worn Clothing for Sale if you Pathetic people want to purchase it, just message me for details. 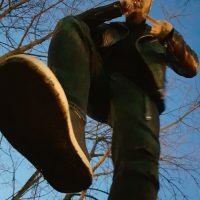 Using a Slave, Working Out, Watching Movies, Going on All Expense Paid Vacation (fag paid), Collecting Fag Taxes and Tributes, I love waking up in the Morning and seeing that my fags have been hard at work filling up my account.